Gift wrapping option is available at checkout Hawaiian snacks like pure 100% Kona coffee and Hawaiian macadamia nuts are perfect anytime as a gourmet delight. We offer the best tasting coffee in the world and you can choose to have certified organic if you are a true purist and connoisseur of gourmet coffee. 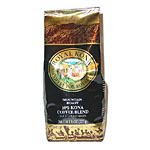 Royal Kona 10% Kona Coffee Blend. Mountain Roast. 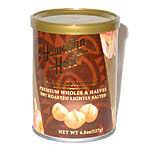 Hawaiian Host Macadamia Nuts. Premium Wholes and Halves. Dry Roasted, Lightly Salted. 4.5oz. Made in Hawaii. Chocolate Chip Macadamia Nut Cookies. 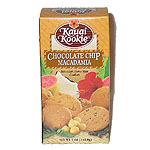 Hawaiian Home Style Cookies. 5oz. Made in Hawaii. 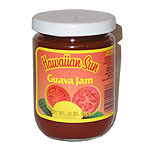 Hawaiian Sun Guava Jam. 10oz. Made in Hawaii.